I like the new Teleport trail FX a lot. The old "Flying Wielder" maybe could have looked good with a LOT of polish, but this solution is a lot cleaner. What I've noticed though is that the pink color is too close to Magic Missle (my brain sometimes needs some extra processing power to separate the two if I see a smudge of pink out of the corner of my eye). 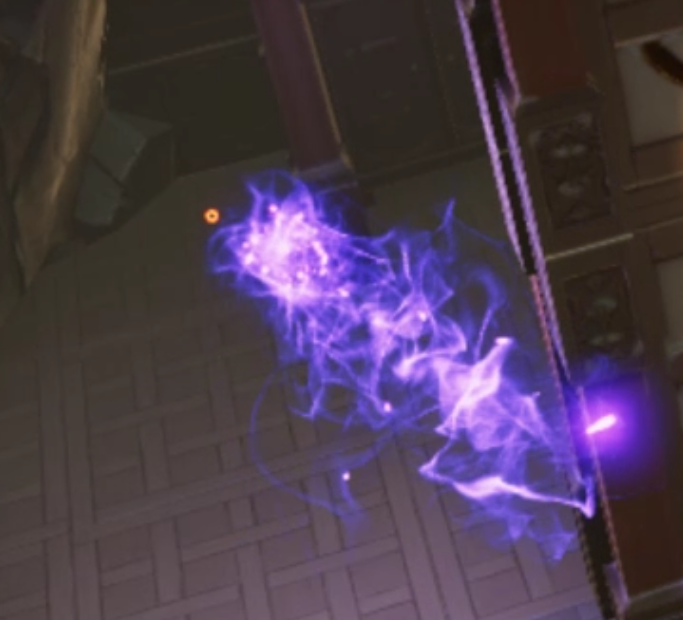 My suggestion is to embrace dark black/purple smoke (more like how it looked before the update) so it clearly stands out and has its own unique visual identity amid the other FX flying around the arena.